These labels help you install equipment in your server rack more easily. You can add up to 52 unit markings on either side of any rack. This is perfect for adding unit measurements to server racks that don’t have unit markings, or to older racks that have had their markings worn off over time. When rack unit measurements are not visible, it can make installing large equipment a hassle. You typically have to align the equipment by eye, which can lead to installing the device in different unit holes on each side of your rack, but that could cause the annoying and time-consuming task of repositioning the device after it's been installed. Using these rack labels is an inexpensive solution that ensures proper alignment and hassle-free installation. 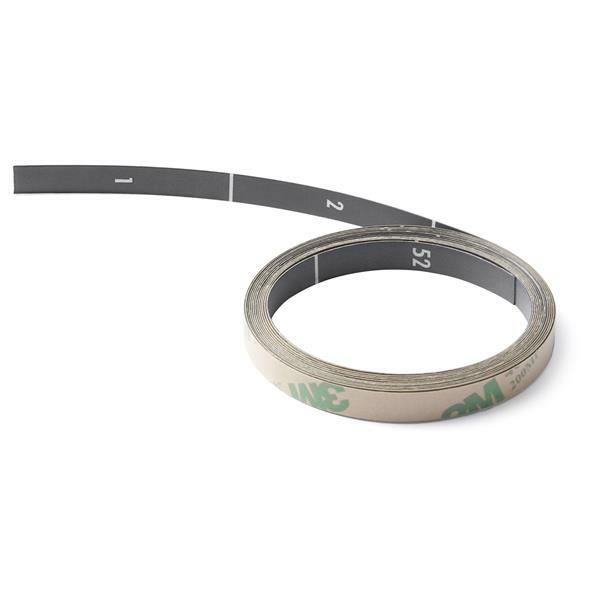 The label strips are self-adhesive, easily attaching to the side of your rack for a simple installation. Each label in the kit contains markings for up to 52 units. This ensures that you can easily cut the label down to a smaller size and fit any rack, up to 52U in size. The labels included in the RKUNITAPE are backed by a 2-year StarTech.com warranty and free lifetime technical support.